You are here: Home / I Go Now to Prepare a Place for You? If Jesus is all powerful, why does he say, “I go now to prepare a place for you”? On a related note, I remember watching old movies when the white colonialist looks down on natives who believe their God will return and thinks they’re simple; but isn’t that what we are doing when we say Jesus will return? Also, I’ve sometimes heard people say that the reason Jesus is waiting to return is because He wants to save more people, but if that is true, why doesn’t He just wait forever? John 14:2 is part of the Upper Room Discourse, and is usually understood to mean that Jesus is going to go back to heaven, where He will be at work to prepare mansions or dwelling places for the church, and when He is done, He will come back and take us to live with Him forever. In fact, it is often taught (and I have taught it this way myself) that Jesus has in mind the Jewish wedding tradition where after a man and woman were betrothed to be married, the man would go off and build a home for his new bride. The construction of this new home would take several months, or even up to a couple years, and the bride-to-be did not know exactly when the groom-to-be would be finished. Her only option was to wait and to be prepared. When the man finished building his home, he would gather his friends and family and begin a wedding procession from his new home through town to his bride’s house. By the time they arrived, it would be a huge parade and party. The bride would go out to meet her husband, and they would return to his new house, where there would be a big Jewish wedding, full of food and festivities. So it is often taught that when Jesus says, “I go now to prepare a place for you” this is what He had in mind. He is the Groom and the church is His Bride, and He has gone off to prepare a dwelling place for us, and we do not know how long it will take or when He will come for us, but we need to be ready and wait patiently. When he returns, He will take us to be with Him, and there will be a big party. That is how John 14:2 is often read, interpreted, understood, and taught. What did Jesus Mean when He said, “I go now to prepare a place for you”? Mansions is not the best translation of the word used here. It might be best translated as “dwelling places.” It is not exactly referring to buildings, but to rooms within a building. Many people hear this, and think, “What? All I’m going to get in heaven is a room? What about the mansion I was promised?” Well… the truth is that Jesus is not promising to pass out mansions. Sorry! Of course, if you were only a follower of Jesus because you wanted to get a mansion, you probably were not following Him for the right reasons. So okay, what does Jesus mean by “dwelling places?” Well, it is critical to understand first what Jesus means by “My Father’s House.” The Jews to whom Jesus was talking would have understood Him to be talking about the temple in Jerusalem. This is also how Jesus referred to the temple on occasion, as in when He cleansed the temple in John 2:16. Furthermore, it is important to know that there were many rooms, or “dwelling places” in the Jerusalem temple (cf. 1 Kings 6:5-6; Jeremiah 35:1-4). From this, it seems that when Jesus says, “In My Father’s House are many dwelling places… and I go now to prepare a place for you,” He is saying that He is going to prepare a place for His disciples in the temple. But why would He do that when He has prophesied that the temple is going to be destroyed? And why would the disciples want a room in the temple precincts? Those rooms were generally reserved for priests and temple servants. The disciples were not priests, and they already had families, jobs, and homes of their own. Here we get into the New Testament teaching about how we as believers in Christ are the new temple (1 Corinthians 6:19), and how we are the new priesthood (1 Peter 2:9). Though it would take time for His disciples to understand all this, Jesus was not talking about preparing a place for His followers in the temple on a hill in Jerusalem. No, Jesus was talking about preparing a whole new Temple and a whole new Priesthood. The true Father’s House was about to be revealed to the world, and Jesus was going to prepare it. Jesus was going to reveal it. How, when, and where did Jesus do that? 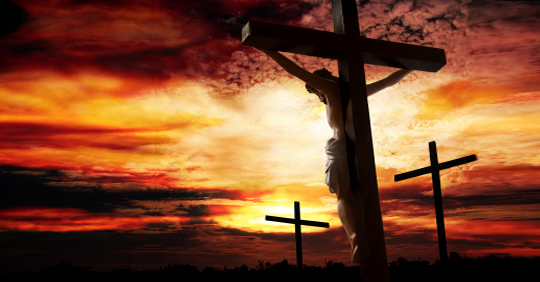 He did it on the cross, and through His death, burial, and resurrection. When Jesus said, “I go now to prepare a place for you,” He was not talking about going to heaven so that at some future date He would return and bring us to be with Him. No, when Jesus said, “I go now to prepare a place for you,” He was talking about making a new temple, a new priesthood, and a new way of living as God’s family. When Jesus said, “I go now to prepare a place for you,” He was talking about going to the cross. Again, this fits with the entire context of the Upper Room Discourse. 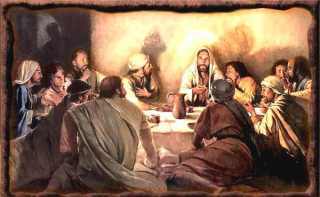 John has been telling them that He is going to suffer and die, and that they are going to deny and betray Him (John 13). The disciples are understandably upset about this, and so Jesus begins his Upper Room Discourse with some encouraging words: He is doing this for their benefit. He goes to prepare a place for them so that they can be with Him forever. What does this Mean for Us as the Church? What does this mean for us as the church? Does this mean that Jesus is not going to return? Of course not! He will return. But here is the thing. In some sense, in and through the church, Jesus has already returned! He returns in us. We are the ongoing incarnation of Jesus Christ. We are His hands and feet the world. We are the Body of Christ on earth. Yes, Jesus is still going to return physically at some point in the future, but between His resurrection and His future second coming, the church is to live and love others like Jesus did. The world needs Jesus, and Jesus sent the church to be Himself to the world. So what happens to the world if the church just sits around and waits for Jesus to return? Jesus, through His death, burial, and resurrection, creation a new people of God on earth to be the living temple of God, which is filled with the Spirit of God, so that all people on earth have unmediated access to God. Because of how Jesus made dwelling places for the church in the Father’s House, people no longer have to travel to a building on a hill in Jerusalem to meet with God. The temple of God is wherever the church is, because we are now the temple of God, and God’s dwelling place is with us and we with Him. If you are a follower of Jesus, please understand that Jesus did not give us eternal life simply so we could wait around on earth until we die so we can finally be with God forever in heaven. No! 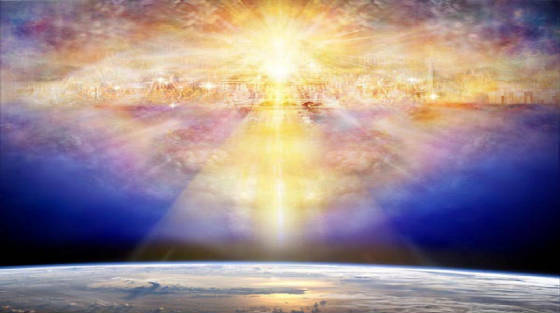 We are not waiting for Jesus to finish preparing some dwelling place in the sky so that when He is done, we can escape this sinful earth to be with Him forever. No, the dwelling place is already finished. He finished it through His death and resurrection. And since He rose from the dead, He received us to Himself so that we are in Him and He in us, and together, we go out to batter down the gates of hell, to set the captives free, and to proclaim liberty to the oppressed. Great revelation Man of God. This your teaching has given me more insight in the passage. More Grace from Jesus to you. I’m trying to get that idea into my teen group I teach. I hadn’t connected the two thoughts together before. Jesus does tabernacle with us- Behold I stand at the door and knock. Eternal life starts now. I still think of my heavenly place, too, though. But if we have Jesus, we have everything. I think many people – not just teens – struggle with recognizing that Jesus is here and now with us, and we can begin experiencing eternal life now as we follow Him into the world. I am glad you are teaching this to the teens. I wish I had been taught this as a teenager. Thank you. All prayers appreciated. This is bang on! The context goes on to reveal His coming (the spirit of Christ) as the comforter, and Guide into all truth… all the way to the unity of John 17. It is very powerful stuff! For years I’ve been yearning to share with others (other than my wife) of the deeper truths of John 13-17. My boys aren’t there yet. Really, most of “us”, being so earthly and materially minded… just want to yearn for that beautiful mansion “just over the hilltop”. Sometimes those old hymns and Christian folk songs (even spirituals) can really distract us from the Kingdom (heaven in the real world), eh? Thanks, Mark! You are right about some hymns and songs. I think they were written with good intentions, but yes, they can distract us from the Kingdom. I stumbled across your website today, and I’m grateful that I did. I am most intrigued by your solid commitment to context being within the Scripture; versus as is culturally accepted being within the reader. I am thankful for your submission to the truth as our self-revealing God has established in history, Scripture, and in the person and work of our living Savior. We are to think and be transformed by the renewing of our minds, so God reveals through Paul. Amen. Thanks, Greg. I do try to stick with Scripture and explain it from a historical, grammatical perspective. I sometimes teach things that are challenging, but I don’t require everyone to agree with me, and welcome dissenting views! We all learn from each other, right? I feel very frustrated when we Christian try to interpret this clear message to our benefit, why do we need to remain here on earth when Jesus himself said”there is many space in my and my father house?” Not only that he continued stating “I will come to take you with me” how clear can be more than this?, you know what I am actually looking forward to received what my saviour, my god promised me. The saddest part is you are right but not Jesus, it doesn’t make any sense. I get very frustrated at this too, when Christians try to interpret the clear message to their own benefit, so that materialistic people get promised mansions and riches, even though Jesus said no such thing. How much more clear could He have been? The saddest part is that you think you are right, but not Jesus. It doesn’t make any sense. I believe Jesus dwells in us by sending us the Holy Spirit, Those Who believe in him and his commandments. If you are saying earth is our paradise then we might as well throw out Revelation chapter 21.
was blessed by these comments. This scripture then ties in with another in john (i think?) that reminds us to live in the unseen world, the eternal realm, as opposed to the present (seen) world. the “unseen” realm is just as real as the seen, it is just harder for us to identify with, and we must receive the unseen in faith. everyday we must choice, am i going to live in the seen world or have a mindset of the unseen world. the values of the seen world are different from the unseen world, where God is. get to us, what do I do? I go and get them. I know the way. only an illustration – OK! So what is Jesus’ promise? He will come back and get us. he comes and promises that he will take us to be with him. is the way to the Father. Father for the disciples and for us. relationship, submitting ourselves in faith to Christ guaranteed. I know that the question does not apply to the text above. This question that I have is about the name of God. I have seen where they use the lower case “g” for God and as I have read my bible the lower case “g” represent the idol god. So as I also read above in this document that I have read above also has a lower case “g” when u are talking about The God of Abraham, Isaac, and Jacob. this can confuse a lot of people who know the correct usage of God name. So can u please explain this to me. Thank you.